Share the CrowdTangle Chrome Extension with your newsroom so anyone can see how their story is performing with social communities. 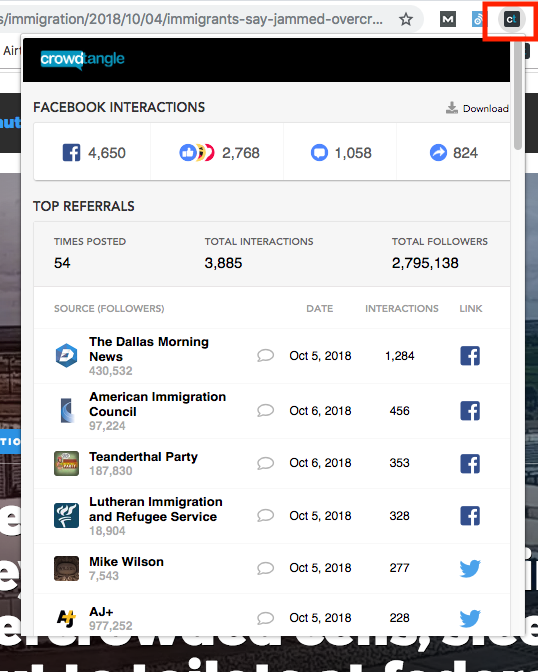 The Chrome extension allows anyone to see a high level view of the impact a particular story is having across Facebook, Twitter, Instagram and Reddit. Create a Live Display with four to five post streams that include a mix of local lists and leaderboard results so everyone in the newsroom can easily monitor cross-platform social activity in real-time. Pro tip: set up your Live Displays on large screens in the newsroom so everyone can see what stories are ‘winning’ the day on social. Create custom Lists of local sources' social accounts for your assignment desk. For example, a list of local first responders, local colleges or local businesses. 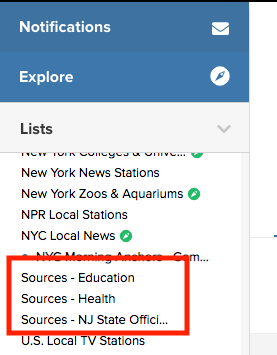 Pro tip: create custom overnight digests synced to these source Lists to get the social posts sent to your assignment desk in time for your morning meeting. Set up neighborhood Saved Searches of the city, county and town names in your local market to discover social content in areas where your newsroom may not have readily available resources. Pro-tip: create Slack viral alerts so reporters and editors can be notified as soon as a story breaks in your local community. Use Intelligence to share weekly or monthly data reports with journalists and/or senior management. The easy-to-understand graphs and data will help make everyone invested in overall strategy. Set up weekly and monthly leaderboard notifications that get automatically emailed to key stakeholders in the newsroom. Leaderboard notifications provide a broad overview of the pages and accounts making impact across social, from talent to market competitors. Pro tip: set up lists of internal pages and separate lists of external competitors for full picture of social health. Use the Saved Posts feature to easily send story leads you find from across social to your reporters and editors. Case Study: The South China Morning Post is in the middle of a digital transformation. Here's how they use CrowdTangle to sharpen their social strategy.